Tag Archives for " Jess Harris "
Positive public relations can put your brand on top and keep it there in the public perception. 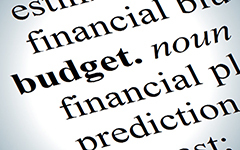 Here are six ways to revamp your public relations budget and give your brand a boost. In marketing-speak, PR stands for public relations, which is defined as “a strategic communication process that builds mutually beneficial relationships between organizations and their publics” by the PRSA (Public Relations Society of America). Technically speaking, almost all of the marketing and advertising a brand does on its own behalf as well as any attention a brand gets from outside sources which gives it public exposure (for better or for worse) can be considered public relations. Since these exposures are usually perceived by the public to be organic, or earned in some way (rather than scripted by a business owner or marketing professionals) they often carry more weight with audiences than other types of marketing and advertising. Because of this, positive public relations can propel a brand ahead of competitors and leave a lasting impression, so that when a member of the public has a reason to buy or recommend a business, this brand is the one that already enjoys top of mind brand awareness and trust. Even some employee engagement and relations activities can come under the heading of public relations when the intent is to improve relationships and the probability exists that the program will impact public perception in some way. As an example, consider the public relations coverage earned in 2015 by Seattle payment processing company Gravity Payments when its CEO announced that every employee of the company would earn at least $70,000 within three years. Even if your company’s public relations never rises to this level, these activities have the ability to positively impact your brand in a big way, and thus are deserving of a line item in your budget. Some public relations activities can be done at a relatively low cost; others may come with a bigger price tag. If your public relations budget isn’t keeping pace with your brand-perception aspirations, revamping your budget to make more room for public relations activities can help. If you haven’t allocated money toward a public relations budget in the past, it’s time to start. Choose an amount that will be allocated toward public relations activities in year one and commit to increasing the amount by a set percentage, such as 5 percent, each year until the budget amount has reached the total needed to facilitate all the activities you want your brand to execute. Public relations opportunities sometimes come up unexpectedly. Rather than let an opportunity to generate positive public perceptions pass your brand by, simply because you don’t have working capital at the ready, you can use technology to access capital almost immediately with online loans. If a media event or stunt is likely to help you attract new customers and increase sales, financing public relations activities might be particularly appropriate since increased revenues may more than offset the cost of financing, and continue to boost your brand for some time into the future. As you plan your annual marketing budget, it’s a good idea to set aside some money that can be used for discretionary purposes. This can be done by setting aside undesignated funds or by establishing a line of credit that can be drawn upon only if a significant public relations opportunity presents itself. Plus, if you have working capital reserves that can be tapped on short notice, this is another option for funding fast-emerging public relations opportunities. No business budget is set in stone and there are often budgets that don’t consume all the resources allocated during the quarter or year. Instead of pausing public relations activities when a budget threshold is reached and potentially missing out on public relations opportunities, check with other departments to see whether there are funds that can be redirected toward important brand-boosting activities. Your public relations budget might not be big enough to accomplish all the activities you desire. Decide which activities will be funded based on the potential they have to benefit your brand and ensure funding for those which can help your company the most. Keep your list of unfunded public relations events on hand and if additional monies become available, execute those in order of highest priority as well. If you are having trouble gaining leadership buy-in for the public relations budget you believe your brand needs, you might need to change internal perception. Many business leaders think of budget items as expenses; however, public relations activities, like most marketing activities, should be viewed as investments a brand makes that produce a return. By changing the language and linking results to your public relations budget, you can change the way your CEO and peers view its importance. The size of your public relations budget matters. Whether you are starting from scratch or you need to make the case for your brand to invest a large portion of its budget for public relations activities, revamping your budget could be the place to start. Jess Harris, Content & Social Manager at Kabbage, Inc., has been helping small brands and startups expand their brand presence online for the last 7 years, with a special interest in social media crisis communications and prevention. Jess particularly loves helping small businesses start from scratch, using actionable insights to build a solid digital media strategy.